Dr. Mona Siddiqui presaged tomorrow’s Annual John Paul II Lecture on Interreligious Dialogue with a visit to the seminar Fr. Fred Bliss has been conducting on Mary in Ecumenical Dialogue (which incidentally, uses the Seattle Statement as its primary text). This is my summary of her presentation, with a little reflection. One of the few things most (western) Christians would know about Islam is that Jesus is respected as a prophet and messenger of God – though not as God himself. Less well known is that Mary is also mentioned from the Qur’an, and considered by some also as a prophet (though not a Messenger). She is, in fact, referenced more frequently in the pages of the Qur’an than in the New Testament. Instead of Mary, Mother of God, the reference is almost always to ‘Isâ, son of Miryam. 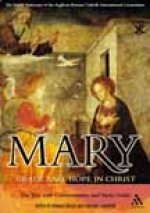 Mary’s elevation to a place of respect is owing to her being mother of one of the great prophets. There are 114 suras (chapters) in the Muslim holy book, eight of which are devoted to, or named for, a person. One of these is Mary of Nazareth, to whom the 19th sura is dedicated. Islam does not hold a view of original sin and the need for salvation from sin that dominates Augustinian-influenced Christianity. Adam’s first act of sin was also his first act of the will, and was apparently a part of the divine plan from the beginning that he would populate the Earth (which is part of the result of his choice). We are not born into a state of sin so much as we are inclined to commit particular sins. Nevertheless there is a sort of myth that sometime before birth, we are each of us ‘pricked’ by the devil, which has a similar effect. Mary and Jesus were spared this pricking for much the same reason that the doctrine of the Immaculate Conception was developed, to recognize Mary’s holiness and purity as a worthy mother of a great prophet and Messenger. The virgin birth of Jesus is affirmed, though the Qur’an and its commentators never focus as much on the physicality of all this, as in some of the extreme Christian views. For Islam, Mary’s purity was ethical and spiritual rather than physical. And nothing about a perpetual virginity. She is a popular person of devotion, especially for Muslim women. Her role is perhaps not as prominent as Fatima, the daughter of the prophet, who is especially revered among Shi’ah Muslims as the mother of successors to the Prophet Mohammad. By A.J. Boyd in Theology and Ecumenism on May 4, 2010 .